Embellish yourself with the gold necklace design in the Antique Finish Peacock Necklace Set that has multi-coloured stones with elephant motifs in the middle of the necklace and three peacocks on its sides. This gold necklace set has a matching pair of jhumkas with coloured stones on it. 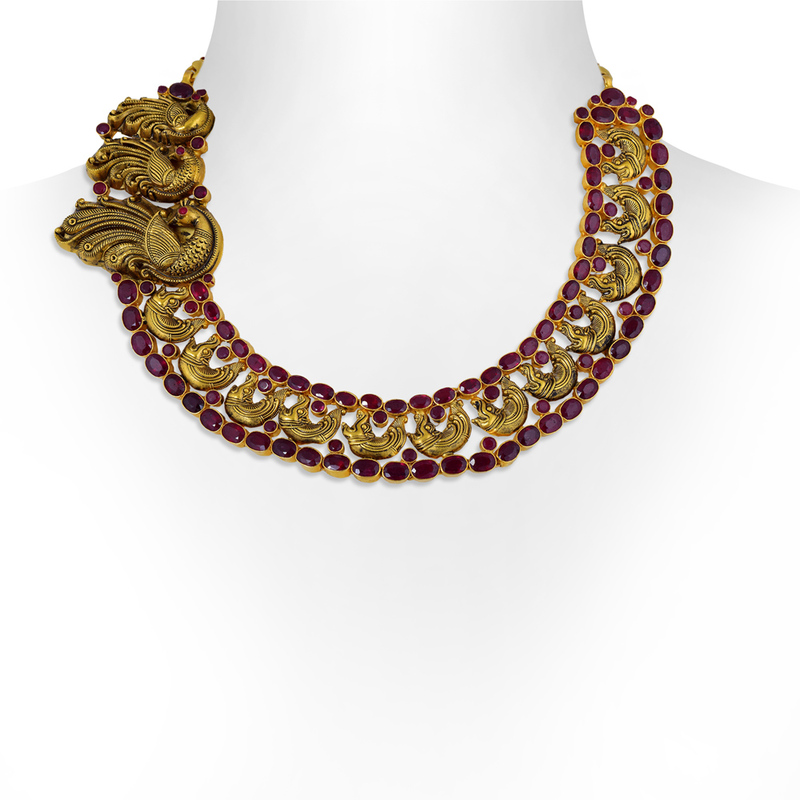 Made in 22 KT gold, this necklace set in antique finish can be paired with saree or lehenga.